Stamford must be one of the nicest places to go and watch a football match. It’s a town that a lot of people don’t know much about, something of a hidden gem, you might say. From a football perspective, the club’s old ground was within walking distance of the station – just a couple of hundred yards at best – and the town itself around the same distance. It’s like a Cotswold town that has been transported to Lincolnshire. Stamford Association Football Club dates back to 1896 and they were somewhat unique in playing on the same ground since the club’s formation right up to 2014. That ground, in Kettering Road, was leased from the nearby Burghley Estate. The club’s nickname, The Daniels, is a tribute to the fattest man ever to have lived in England, one Daniel Lambert, who is buried in a churchyard in the town. The club’s high point was when they won the FA Vase in 1980, although Stamford are playing at their highest ever level – the Northern Premier League Premier. The club’s recent move from, to quote a club official, “an old and tired ground set against the backdrop of a glorious Georgian townscape”, to a purpose-built, modern, edge-of-the-town development, could have been laden with pitfalls. Non-league fans, generally, don’t like change too much and many would baulk at the idea of a relocation. It often prompts the type of “over my dead body” reaction that can hamper progress. But in Stamford’s case, the move has largely been welcomed. “Our old ground was not going to last long and we couldn’t do much with it,” said Pete, a long-standing fan before the Daniels’ game against Stourbridge (a club that is also undergoing significant development at present). “This is lovely,” he added, sweeping arm across the view of the Zeeco Stadium from the bar, which offers a perfect vista of the ground. “This new ground can really help the club move forward, take us to a new level. And I get the feeling we are being run properly off the pitch by people who seem to care about Stamford FC and want to take it further,” added Tom, a fan who lives just a few minutes from the new site, some 20 minutes’ walk from town. 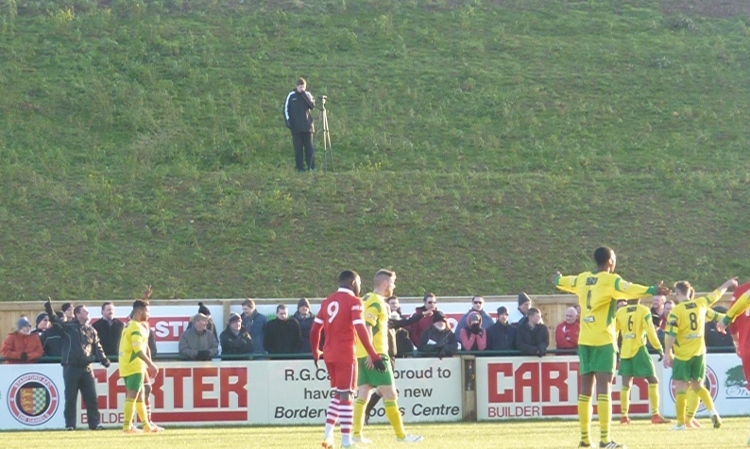 Groundhopper Harry, a glazier from Leamington, who was visiting the Zeeco for the first time, was less impressed. “It’s too modern and too far from town for people like me who cannot drive. I like grounds with a bit of character that have been lived in. Like their old ground.” He also complained about the number of advertisements in the programme. “Suggests they are doing well commercially,” I suggested, but he didn’t want to hear that. It’s true that the stadium does have a “just out of the wrapper” feel about it, but the facilities are impressive and there is so much space around that it all looks very scalable. It only opened in mid-December 2014, so the club has yet to personalise its new home, but for any misty-eyed nostalgia for damp wood and crumbling concrete, the new ground says “future” and “ambition”. If there’s a criticism, it’s not about the distance from the town centre (the early signs are that more people want to come to the Zeeco than Kettering Road), but perhaps the need for more seating and a little more spectator cover, but these are early days. The infrastructure of the club is solid, clean and well designed and doesn’t deserve to be over-scrutinised for possible improvements at this stage! On the pitch, Stamford have a few problems to solve if they are to avoid a relegation struggle this season. Before taking on Stourbridge, Stamford were in 18th place in the Northern Premier League and had yet to win at the Zeeco. In fact, their home form, straddling both grounds, had not been good – just three wins in 13. They are really trying to sell the new ground it to the fans. The man on the tannoy called for “volunteers to help with the matchday experience (very Stamford Bridge)” and then as the teams took the field, “It’s showtime,” rang out around the Zeeco. It got worse in the 29th minute when the ball was played through to Brian Smikle and he beat a defender before shooting low into the net for Stourbridge’s second goal. Then Stamford mounted a recovery. 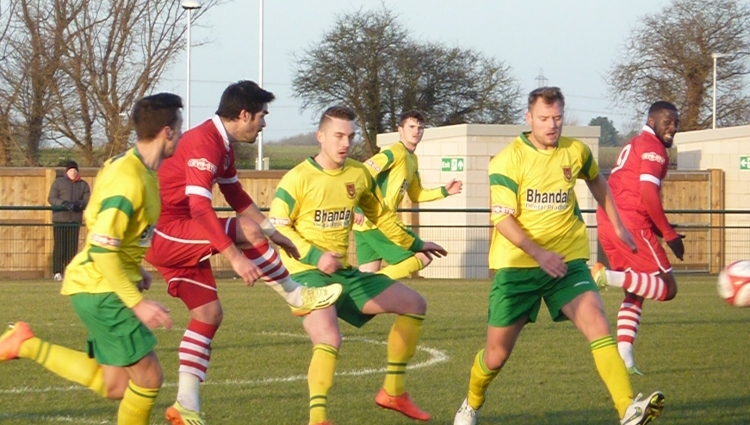 The first comeback goal was a scruffy affair and started with a Ryan Clarke free kick into the area. Jordan Smith, who impressed all afternoon, headed down to Ryan Robbins and his shot was blocked, almost went in off a defender and then rolled to Nathan Fox who applied the finishing touch. At least that what it looked like from distance! Just before the interval, a long ball from Joe Curtis fell nicely in the path of Robbins and he ran on to drill his effort past Dean Coleman. From two-down to 2-2. Stamford’s boyish manager, David Staff, celebrated a la Mourinho before sharing a joke with the fans. “Enjoying it, Dave?,” enquired one regular. “No….do I ever,” came the response. Staff had, a few minutes earlier, taken off his skipper, Richard Jones. “Skip”, or “Captain Fantastic” as the fans chanted, didn’t seem too happy, but Stamford clearly dealt with the change. Jones was limping, which may have explained his premature withdrawal from action. 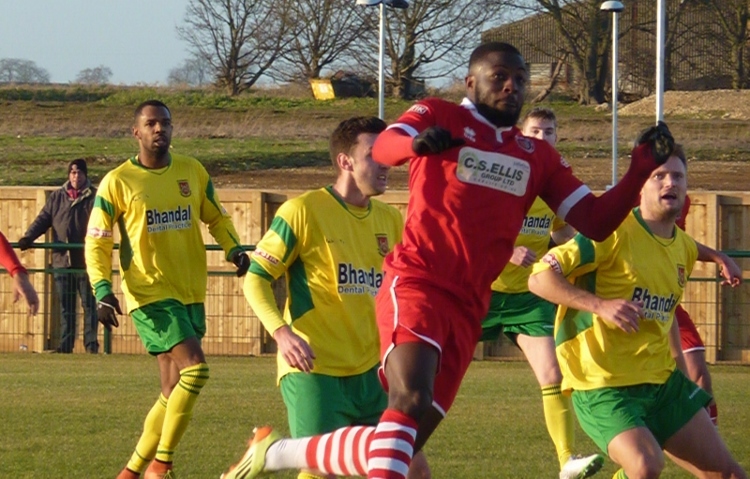 The second half saw an improved Stamford performance and Smith and Robbins both enjoyed galloping up the field to test the Stourbridge defence. But it was a goal from a breakaway that won the game, a soft finish at the far post by Brown after a cross by Luke Benbow. Stamford didn’t really deserve that, but they were far too generous in defence for the entire 90 minutes. A 3-2 scoreline suggests an entertaining game and it wasn’t half bad. Stamford will have to be careful, though. They may be in possession of the Zeeco, but they could do with a little of the old Zico magic! After all, they don’t want to have the best ground in the Northern Premier Division One, do they?